December 31, 2014 bcalvanocoaching2 Comments on Weekly Angel Oracle Card Reading for December 29 through January 4. Weekly Angel Oracle Card Reading for December 29 through January 4. I’m just now posting this today December 31st Wednesday. Better late than never! It has been a busy holiday week with lots of new changes. Here’s the weekly and new year message! May you have a blessed new year filled with joy and happiness! Join me next Saturday January 3rd where I will be sharing a preview of the Messages for the Year 2015 in addition to the upcoming weekly angel guidance. 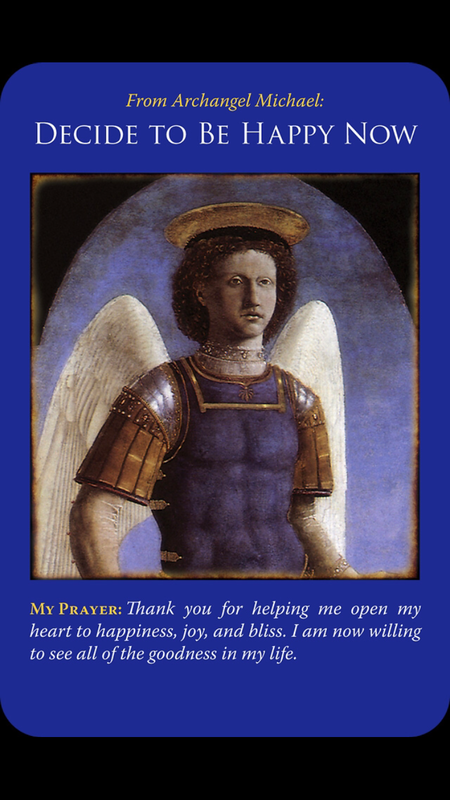 This week I was guided to work with the Archangel Michael Oracle Cards by Doreen Virtue. We start the week with the message of “New Beginnings and a Fresh Start”. Thank you for bringing new opportunities and offering support, and for helping me release and heal my past. Fill me with trust as I experience these life changes. As we prepare for 2015 we take a moment to review our past year. Whatever happened or didn’t happen it’s important to let go the the past. Hopefully we experienced our upsets and disappointments and saw our life lessons. Being able to bless the past allows us to attract goodness, love and light. 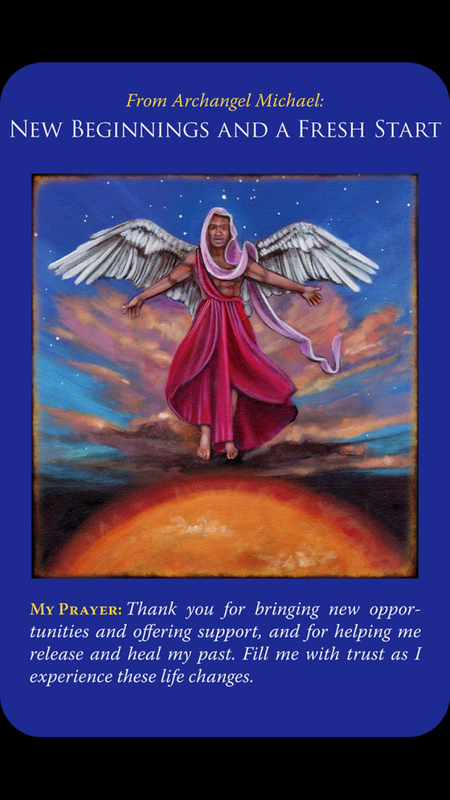 Archangel Michael reassures us that we are supported with our new ideas, in releasing that which no longer serves us and bringing healing to those areas where we need it. The key word is trust. The guidance and support of the angels are there as we move into the new year. All we have to do is ask for support. A true fresh start can only come on a clean slate! Release with love and allow the brand new to enter your life! For Monday and Tuesday we have the message, “God Is In Charge”. Dear God, please help me to let go of this situation, giving it in faith and trust to your Divine wisdom and infinite love in order to resolve and heal everything and everyone involved. Archangel Michael reminds us to have full faith and trust that our prayers have been heard and are being answered – in Divine timing. We may have situations that require resolution and healing. Knowing that God is in charge allows us to have peace. 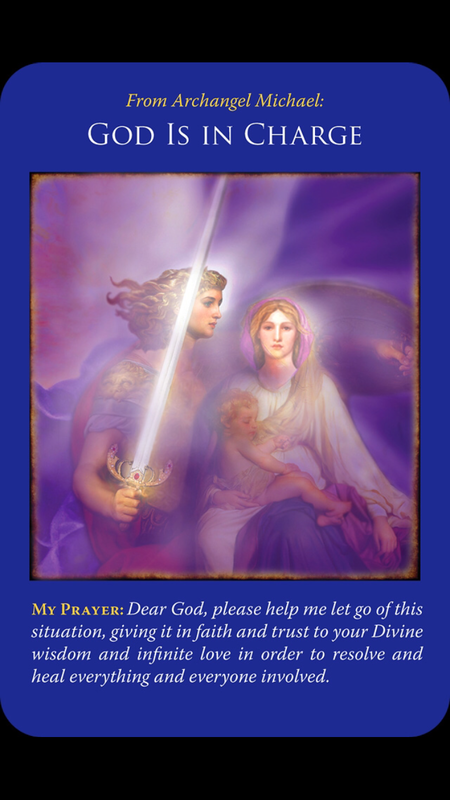 We also have Archangel Michael and his sword of white light to clear away any unnecessary worry, anger, mistrust, resentment – any lower emotions that no longer serve us. Call upon him as needed if you feel your faith or trust blocked. The powerful healing available by Michael will leave you peaceful, clear and focused on light and love. For Wednesday and Thursday we have the message, “Decide To Be Happy Now.” Thank you for helping me open my heart to happiness, joy, and bliss. I am now willing to see all of the goodness in my life. In creating a new year, ‘new’ describes something that has never existed before! We are guided to choose happiness over drama. Open our hearts versus rehashing the negative. It is important to acknowledge the past but then we are guided for our own happiness to let it go. Step into the new year as someone who chooses to see the glass half full no matter what happens! With whatever circumstances or situations you may have in your life right now, we are guided to be grateful. The angels are saying to expect a miracle. Write a gratitude list and keep positive thoughts about your situation. Open your heart to love! And for Friday and the weekend, we have the message, “Positive Thinking Creates Positive Results.” Divine love and wisdom, I call upon you now. I know that my mind and emotions are eternally and continuously connected to you. I ask my Higher Self to be aware and conscious of the love and light that is within every person and situation. Rather than worrying, pray and practice a loving compassionate state of mind. 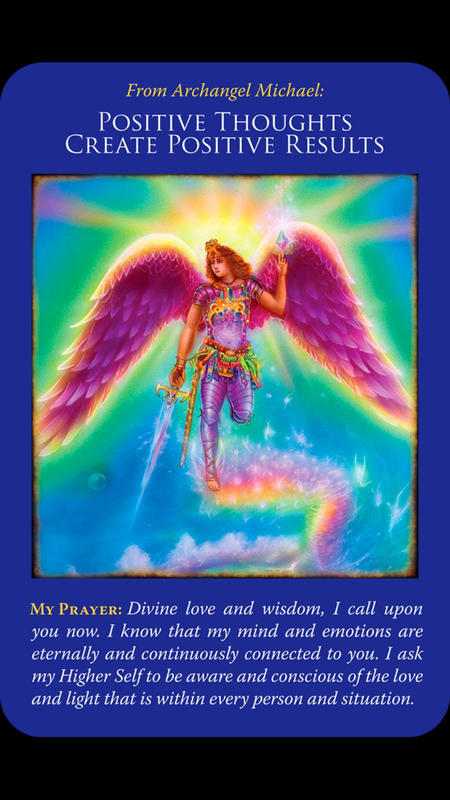 Archangel Michael reminds us that our words create our reality. Take a moment and look back to 2014. Things happened, how did we react, respond? What did we make up about these situations or events? How did we proceed with that energy? Did we enroll others in our upset or our solution? Or did we pause and process the situation to see the larger picture? We are reminded that there is love and light in every situation. Sometimes it is very difficult to see. When this occurs we can call upon our angels and specifically Archangel Michael to assist us in releasing any lower emotions so we can experience peace and regain our center. We can then and see what was hidden before. Our thoughts are our tools to manifestation. We are guided to be mindful of our thoughts and of how we can literally speak things into existence. This week as we enter the New Year 2015 we are given some basic tools. True new beginnings and fresh starts are contingent on releasing and letting go of the past and allowing trust. Our prayers have been heard and are answered in Divine timing – trust that God is in charge. We can choose to be happy right now regardless of whatever is happening in our life trusting there is an innate goodness in life that can sometimes be hidden by our upsets. And lastly, positive thoughts create positive results. Change your mind and change your life. The angels are with us to support our changes. We need only ask for support and then be present for their signs and assistance. Wishing you all a very happy and healthy New Year! Join me at my Archangel Michael Healing Workshops where we will work learn how to use the oracle cards with his messages to support our lives. We will also learn the shielding and clearing techniques to manage the energy is our lives. For more information contact me at bcalvano-coaching@usa.net. 2 hours. Manhattan. Sessions are by phone, email, Skype babara.calvano10 or in person in Manhattan by appointment. For all sessions contact me for more information! Also, available for your holiday parties! To receive this free reading weekly please enter your email at my website. My next live radio show will be Saturday January 3 at 4pm EST where you can call in for a reading at 424-675-6837. I look forward to having you join me! I have been getting that clear message to remember that my plan is not THE plan and to just let go. And yes, happiness is a choice….why do we make it so complicated, (wink and a smile). This was my very first oracle card deck and it holds a special place in my heart. All the best Barbara! Yes! Thank you for sharing your thoughts. The very best to you and yours in 2015 Lisa! Next Weekly Oracle Angel Card Reading for January 5th through 11.